For years, dentists have utilized archaic flat plate imaging, such as a panorex (pantograph), to treatment plan dental implants. It wasn't until the inception of cone beam CT imaging that dentists were finally able to accurately predict and treatment plan cases without the typical guesswork of a panorex. 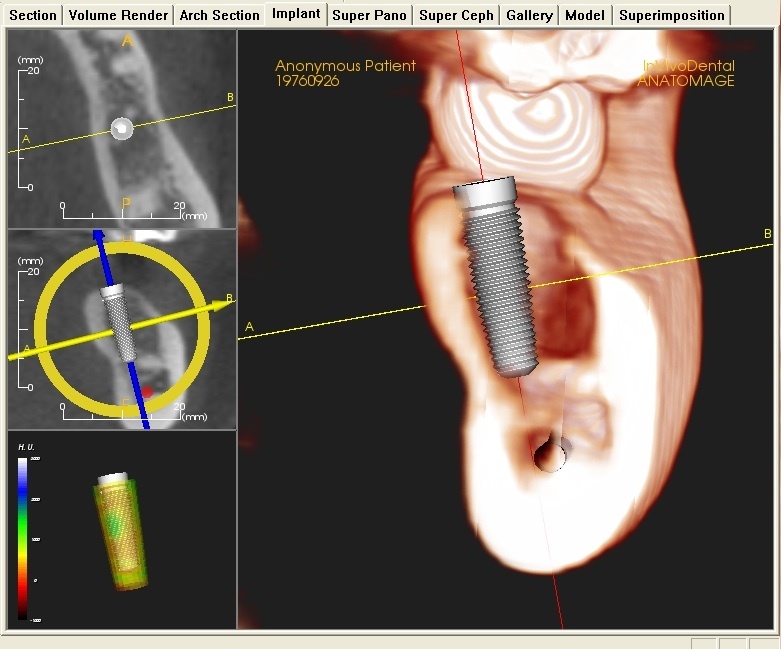 Dr. Street has have been utilizing the iCAT cone beam CT for years and has rapidly improved implant protocols for patients. What this means for patients is decreased levels of invasive surgeries, accurately planned and expensed surgeries, and an increase in knowledge not gained by any other means. We are demystifying more complex procedures and providing a level of comfort, predictably, and minimal to no pain with improved surgical techniques. "We can make exact measurements to critical structures such as nerves and the sinuses. This not only improves our surgical placement of implants but also the predictability of bone grafting and teeth removal." The 3D CT will be utilized as a part of all dental implant surgeries. Should you have other issues such as teeth near nerves or cysts or masses in the jaw, we can also utilize the 3D imaging to make your surgery safer.